…and you may water-bath can in them, too. 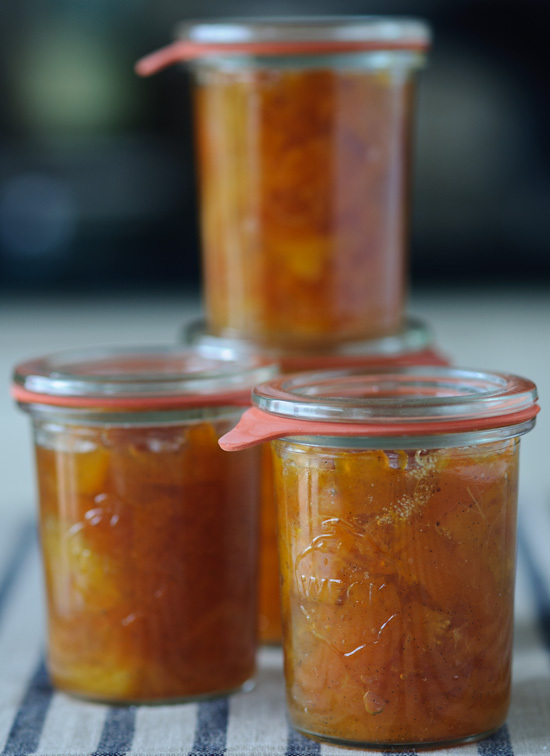 Below you see tangerine vanilla marmalade (yup, I do love tangerines). The recipe is from Marmalade: Sweet and Savory Spreads for a Sophisticated Taste . One of the best things about these jars is that they are made of thick glass to withstand boiling and sterilization. Also, the glass lids are immune to rusting and may be used many times (and since they are made of glass and not aluminum, there is none of the BPA coating that is found on metal canning jar lids). If you are interested in canning in Weck jars, be sure to familiarize yourself with the these guidelines from Weck. Also, please read this helpful post from Marisa over at Food in Jars. I love Weck jars, but they are a little pricey. So I was really excited when Mighty Nest asked if they could send some jars to me. What’s Mighty Nest? It’s an online store specializing in natural, non-toxic products for the kitchen and home. Mighty Nest offers an incredibly comprehensive selection of beautiful, durable items that are 100% free of harmful chemicals: it’s the perfect place to shop for many of your green living needs. 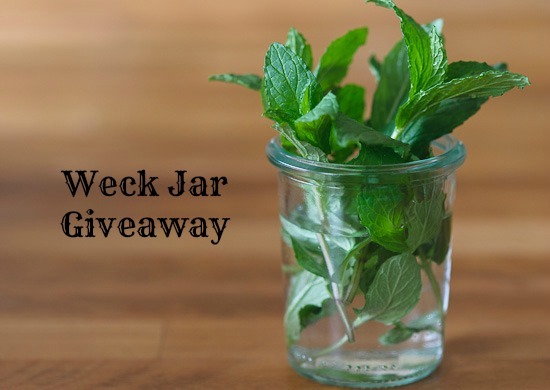 Mighty Nest has also generously offered to send a Weck jars prize pack to one of my readers. This giveaway is open to readers in the United States only. To enter the giveaway, just plug your information into the widget below…good luck! *Disclosure: Mighty Nest sent me 2 boxes of Weck jars to use in my own kitchen. All opinions about the jars and Mighty Nest are 100% my own. I am swooning over this giveaway! Thanks!! Ooh! Have been wanting to ferment vegetables and this would help me get off to a great start! You have no idea how much I’ve wanted these jars. I do not store food in plastic and it’s so hard to find good quality glass containers. Beautiful jars! I would love to win these, so many possibilities!! I have moved away from plastic storage so these would be great! Thanks! I’m drooling over how gorgeous these jars are. What a fantastic giveaway!! Have never seen these jars before. So, cool! I love these jars!!! They are the best!!!! Love these! Reminds me of spending summer’s with my Grandparents! my local hardware store doesn’t stock these! love ‘em. I need to stop reading US blogs!! There are so many great giveaways that I can’t enter :( Wah! I’ve loved WECK jars for years. If I win, these will be a surprise gift to my sister in Connecticut, who recently mentioned that she wanted to try canning. I have been canning for decades and have a large assortment of Mason jars. I am hoping that we can trade. I cannot eat all the canning I do so I give away lots. If we make different recipes we could double our product! I just discovered Healthy Green Kitchen and looks like I am really fortunate with learning about this wonderful jar set prize! I have been switching from plastic to glass containers as well – but they all still have plastic lids! These look perfect! My wife will surely love these Weck glass jars! She likes to organize her stuff especially all her favorite ingredients. I wonder how much will be one set of these wonderful jars since I don’t have a chance to win the giveaway. I’m working on converting my kitchen to plastic free storage. These would be a perfect addition! These look great. Our plastic containers are showing their age and I’ve been keeping my eye open for replacements. Can’t have too many clear containers! These jars are gorgeous! My boyfriend’s mom gave me a few for Christmas a couple years ago, and I adore them! They make everything look so pretty! as you can see form the comments, we are all drooling over this prize! Who doesn’t love WECK jars???! So in need of new ones.. THis would be such an awesome blessing. Thank you for this review and giveaway Winnie! Winnie… for some reason my comment says #1 instead of 24…. hmm.. is that normal? I love those jars as well and did some matcha cheesecake in it recently – the glasses are great for cake of any kind, also panna cotta. Good luck to your U.S. readers to win the give-away! I ADORE these jars! Not only are they fabulous to use, they look awesome too! I missed out on the blue jars. I want in on these!!! This is my kind of giveaway. I would absolutely LOVE to win!!! These look awesome, I would definitely like to try canning with them. 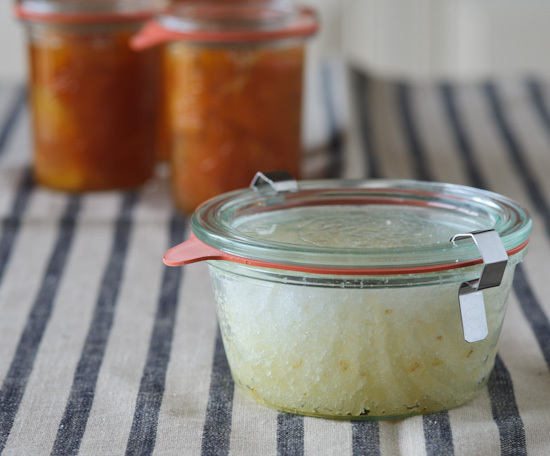 oh, these are great jars – I have always used a regular Mason or Kerr type jars for canning. In fact, those are what I still have the most of, but was introduced to these and would certainly like a few more! These are beautiful! Thank you so much for sharing! Lovely. I haven’t had a chance to try these yet. Here’s hoping! Thanks for the chance. I have never seen these jars before, and have never really canned before. I have an enormous fig tree right outside my front door, though, and would love to attempt to put some away! Thanks! Can’t wait to make huckleberry jam this summer I have one weck Jar and love it. Just made a strawberry jam making date with my good friend. Would love to try these out! Thanks! Simply beautiful and I love the versatile shapes and sizes! I have only admired these on the shelf. I love canning jars! I have longingly looked at these, but so far have stuck to my Ball jars. This would be a gift to my sister, who loves to can. I especially love the jars made for syrups, one of these days I’m going to break down and buy a box! 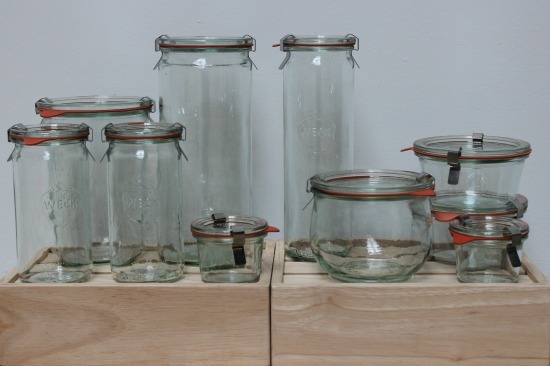 I’ve had my eye on these jars for along time–just never got around to buying them. Want them!! Love Weck jars, and only have a few. Yes, please! I always feel like I’m cheating on my true-blue Ball canning jars when using Weck but they are so beautiful and functional.